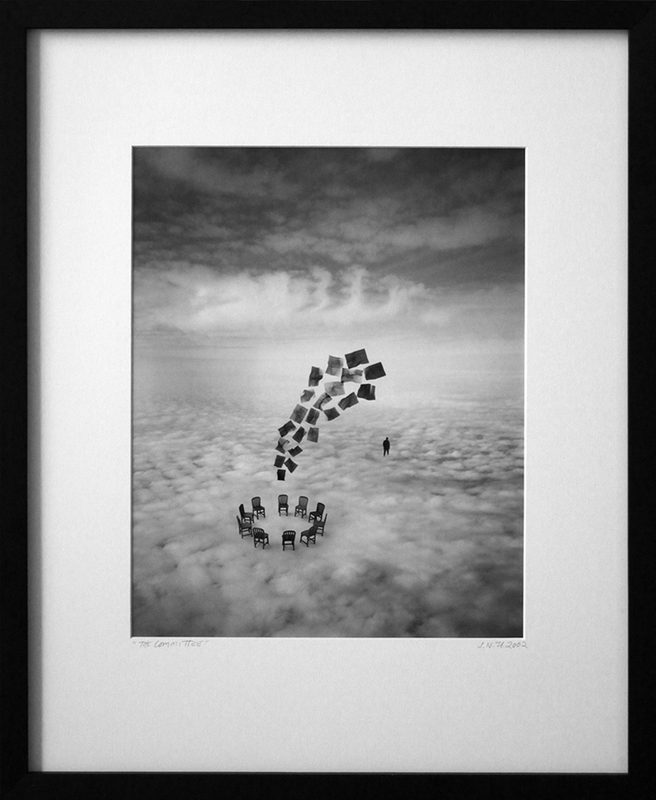 Jerry Uelsmann pioneered the art of multi-layered imagery years ahead of anyone else. He uses only his own negatives from the pictures that he shoots, and does this often without a specific composition in mind. Jerry is best known for his black and white images that he layered skillfully without the use of Photoshop. His photographs combine several negatives to create his landscapes that mix images of trees, rocks, water and human figures in new and sometimes unexpected ways. Jerry’s work is hard to describe. His photographs are often referred to as dreams or surrealism. His work has a likeness to listening to music and experiencing feelings and emotions, so that when you look at his pictures you are immersed in feeling. From his experimentation in his darkroom, new ideas come. It is here that you have to learn to trust you feelings and go with the flow. He thinks the appeal of his photographs can be defined as “something beyond language that connects one with aesthetic experiences such as music.